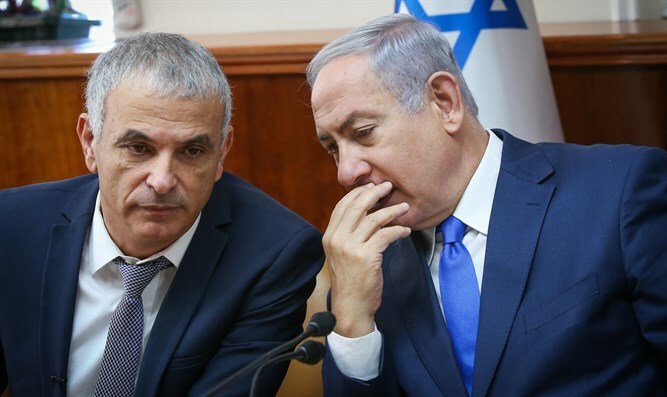 Finance Minister Moshe Kahlon made it clear to Prime Minister Netanyahu at their meeting on Thursday that he believes that in the current situation a date must be set for the elections. "In the present situation, the best thing for Israeli citizens and the Israeli economy is to go to elections as soon as possible," Kahlon told Netanyahu. Prime Minister Netanyahu announced yesterday that he will hold a round of meetings with the heads of the coalition factions following Defense Minister Liberman's announcement of his resignation from the government. Among other things, Netanyahu is expected to meet with Education Minister and Chairman of the Jewish Home Naftali Bennett, who will demand that he entrust him with the defense portfolio as a condition for the continued existence of the government. After the round of meetings, Netanyahu is expected to decide whether to set an agreed date close to general elections or to try to stabilize the current coalition with 61 MKs.